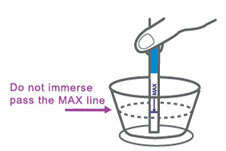 A home pregnancy test measures the presence of the hormone (HCG.) in your urine. H.C.G. is produced shortly after the embryo attaches to the uterine lining. The hormone then builds up rapidly in your body in the first few days following implantation. This test is capable of detecting pregnancy as early as 6 days before your first day of missed period. The further in to the pregnancy you are the higher the levels of HCG. get. You can take these pregnancy tests as early as 6 days before your first day of missed period and onwards. Tests can be taken at any time of the day. You can read the results after just 3 minutes. If your pregnancy test results are positive, you should consult your doctor to discuss your pregnancy and what steps should be taken next. 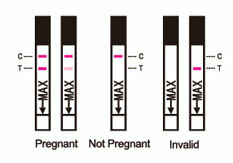 If your test is negative and you still think you may be pregnant, re- test a few days later.